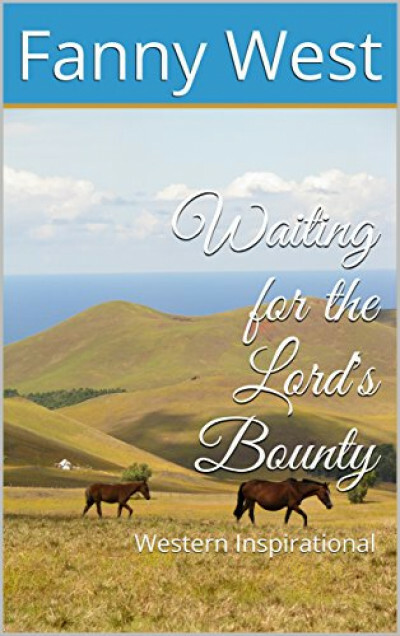 Waiting for the Lord's Bounty is a short clean read with Christian values. In a story, set in the American West, Michael Winters is lost although he doesn't know it. He starts out as a farmer, and then as a bounty hunter, seeking revenge. His actions finally bring him to the Lord, but not without conflict. The surprise will touch your heart. All of Fanny West Books are clean sweet reads. Many of them are Mail Order Bride Romances set in the American West. Others are Pinkerton Mystery Books set in the American West circa 1800-1900. By choosing to DOWNLOAD THIS BOOK, you are agreeing to be contacted about future deals and free books from Fanny West.